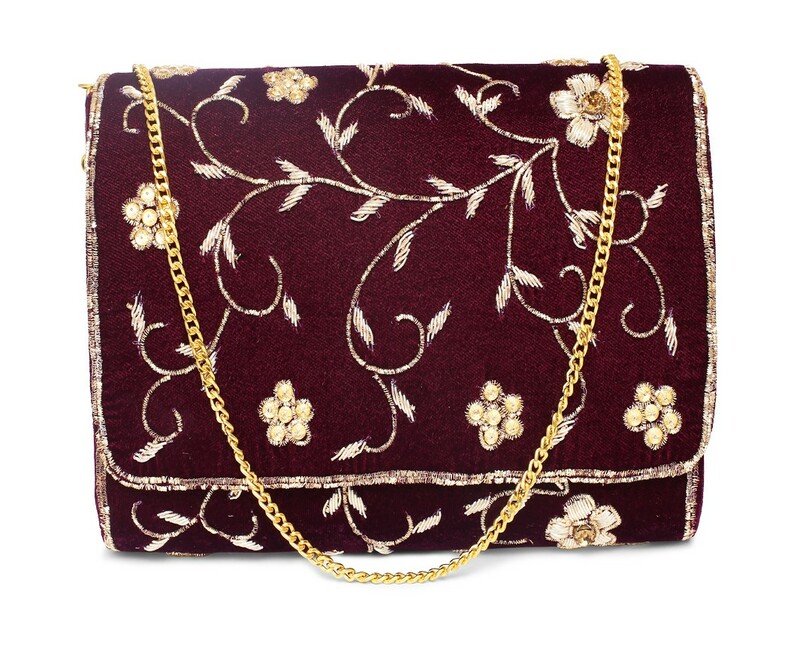 Adorn this classic 3 fold Satchel Bag, with intricate handwork by the Indian artisan in shades of gold against a rich maroon velvet. 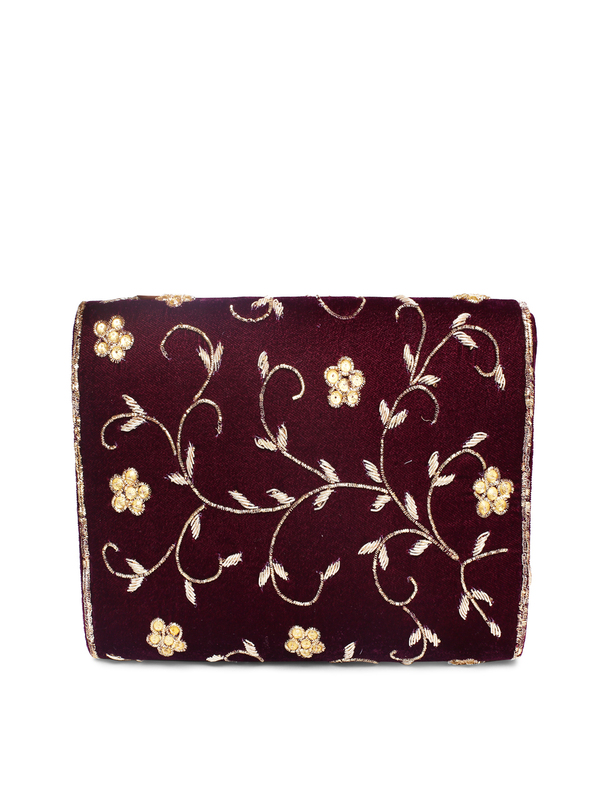 This floral inspired design is ideal to carry with Western and Indo - Western outfits. 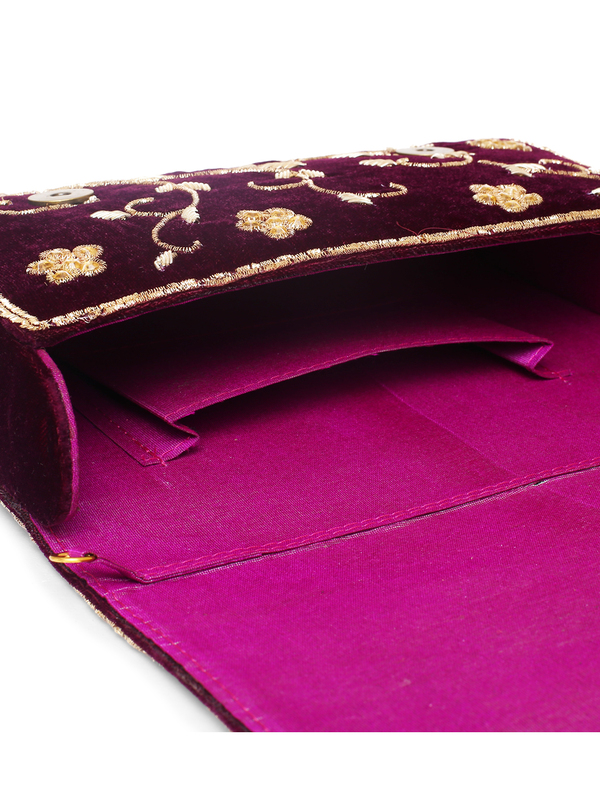 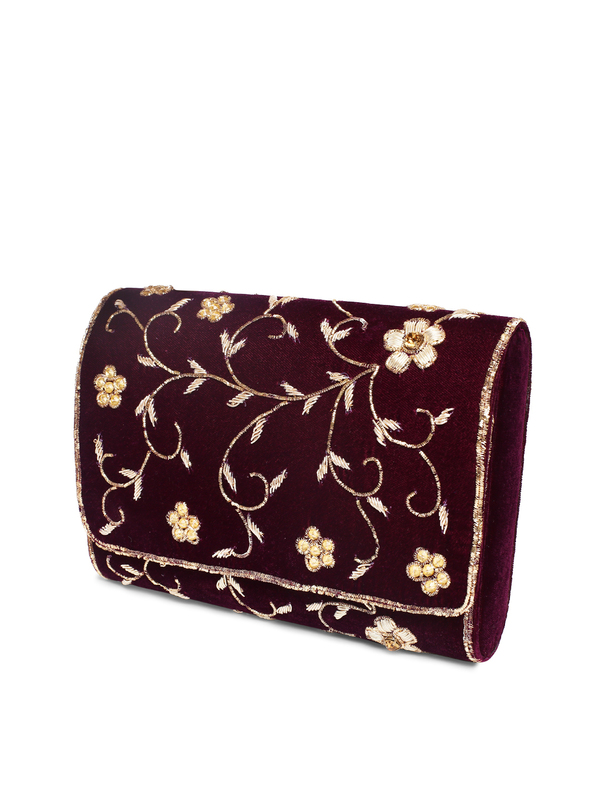 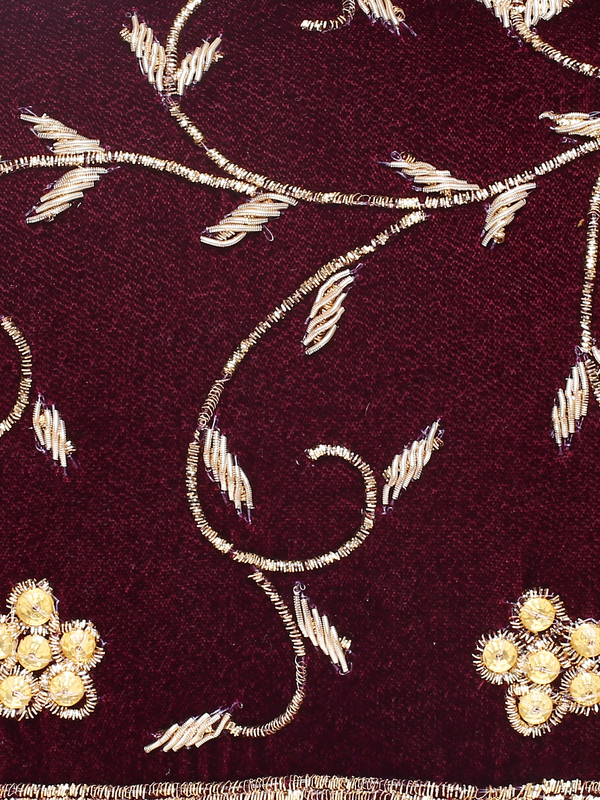 MATERIAL : Gold Zardozi, Gold Stones, Maroon Velvet, Khadi Silk Maroon Lining, Gold Chain, Magnetic Button.